After the attacks of 11 September 2001, the United States invaded Afghanistan and removed the Taliban from power, thereby eliminating a key nexus of international terrorism. 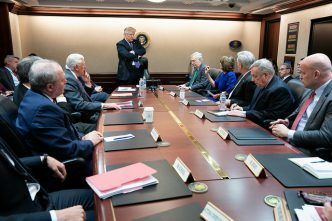 But now, a war-weary US, with a president seeking to cut and run, has reached a tentative deal largely on the Taliban’s terms. The extremist militia that once harbored al-Qaeda and now carries out the world’s deadliest terrorist attacks has secured not just the promise of a US military exit within 18 months, but also a pathway to power in Kabul. History is repeating itself. The US is once again abandoning war-ravaged Afghanistan, just as it did three decades ago following a successful covert operation by the CIA to force the Soviets out of the country. The US, desperate to end its longest-ever war, appears to have forgotten a key lesson of that earlier abandonment: it turned Afghanistan into a citadel of transnational terrorism, leading to civil war and eventually bloodshed in the West. The accord reached between the Taliban and the US Special Representative for Afghanistan Reconciliation, Zalmay Khalilzad, reads like a wholesale capitulation on the part of the Trump administration. In 2014, the US signed a security pact with the Afghan government that granted the Americans access to nine military bases at least until 2024. But the US has now agreed to withdraw all of its forces in exchange for a mere promise from a terrorist militia that it will deny other terrorist networks a foothold on Afghan territory. Never mind that Islamic State is already operational in Afghanistan and poses a challenge to the Taliban itself. Though the agreement has been dubbed a ‘peace’ deal, it will almost certainly lead to even more Islamist violence, not least against Afghanistan’s women. 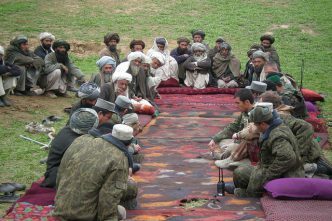 The Taliban are determined to re-impose the medieval practices they enforced during their harsh rule from 1996 to 2001. Whatever gains Afghanistan has made in terms of women’s and civil rights may soon be reversed. Make no mistake: the Taliban are brutal and indiscriminate in their use of violence, and they refuse even to recognise the country’s legitimate government, which will make fleshing out the new ‘framework’ accord exceedingly difficult. A number of key issues must be spelled out unambiguously, including when the ceasefire between the Taliban and US-backed Afghan forces will take effect. And even then, it’s highly doubtful that the Taliban will agree to a power-sharing arrangement with Afghan President Ashraf Ghani’s government. In fact, having been emboldened by a series of US concessions over the past six years, the Taliban have escalated their terrorist attacks and made significant battlefield gains against Afghan forces. So, if anything, they will see the new agreement as an implicit validation of their impending victory. They know that time is on their side, and that most Americans favour a US exit. That means they will probably play hardball when negotiating the details of a final deal. In addition to representing a major victory for the Taliban, the accord is also a win for Pakistan, which harbors the militia’s leadership and provides cross-border sanctuaries for its fighters. Just last year, Donald Trump cut US security assistance to Pakistan, tweeting, ‘they have given us nothing but lies & deceit, thinking of our leaders as fools. 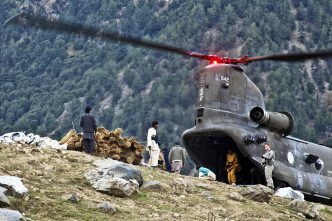 They give safe haven to the terrorists we hunt in Afghanistan, with little help’. It is worth remembering that when Trump took office, he promised to reverse the deteriorating situation in Afghanistan by ‘winning again’. But just two years later, he has apparently decided that it is the extremists who will be winning again. Far from breaking with former president Barack Obama’s failed approach, as he promised, Trump has now fulfilled his predecessor’s quest for a deal with the Taliban. 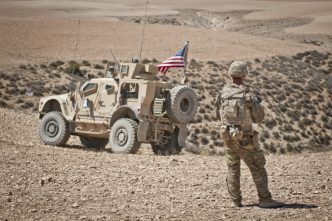 Having also recently announced a military drawdown in Syria, Trump has made it clear that the US will readily throw its Kurdish and Afghan allies under the bus in order to extricate itself from foreign entanglements of its own making. To be sure, America’s Faustian bargain with the Taliban has been in the making for years, which explains why the group is conspicuously absent from the US Department of State’s annual list of foreign terrorist organisations, despite having killed more civilians in the past year alone than any other outfit. To facilitate talks with the Taliban, Obama allowed the militia to establish a de facto diplomatic mission in Qatar’s capital, Doha, in 2013. And a year later, he traded five senior Taliban leaders for a US Army sergeant (who was later charged with desertion). The US has come full circle. The Taliban, like al-Qaeda, evolved from the violent jihadist groups that the CIA trained in Pakistan to wage war against the Soviets in the 1980s. After suffering the worst terrorist attack in modern world history, the US turned against the Taliban, driving their leaders out of Afghanistan. But now, in search of a face-saving exit from the Afghan quagmire, America is implicitly preparing to hand the country back to the same thuggish group that it removed from power 17 years ago. 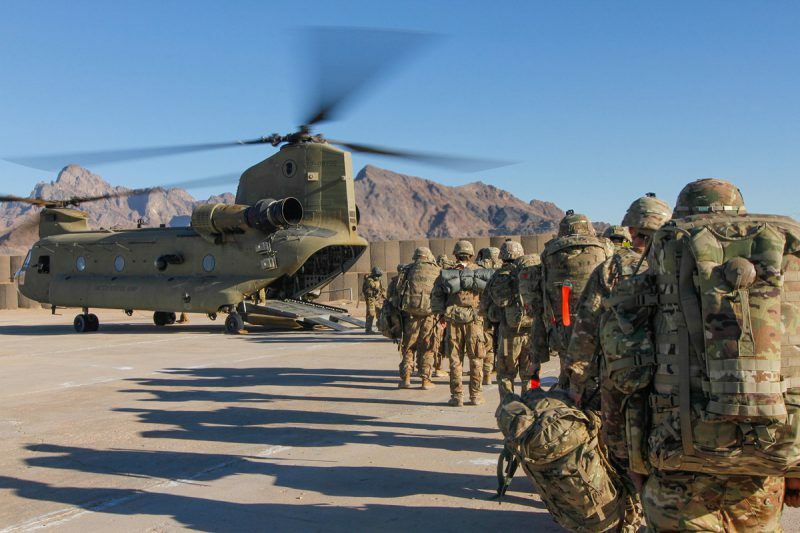 Sadly, once American troops leave Afghan soil, the ability of the US to influence events there, or to prevent a new terrorist attack on the US homeland, will be severely limited. Brahma Chellaney, professor of strategic studies at the New Delhi–based Centre for Policy Research and fellow at the Robert Bosch Academy in Berlin, is the author of nine books, including Asian juggernaut, Water: Asia’s new battleground and Water, peace, and war: confronting the global water crisis. This article is presented in partnership with Project Syndicate © 2019. 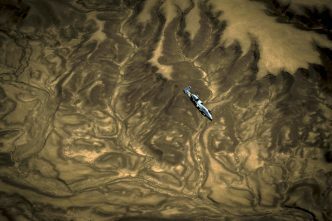 Image courtesy of the US Department of Defense.